Just like your trusty familiar leather or denim jacket that gets better with age, a chair can feel the same way. It’s the special place in your living room that you’d automatically go to when you’d like to wind down for the day. It can be for the rainy days where you feel like reading a book with a hot cup of coffee – or it can be for the long night watching your favorite TV show. The Homelegance Orbit Collection envisions the future through a retro lens creating a style that is a perfect fit for your ultra-modern home. 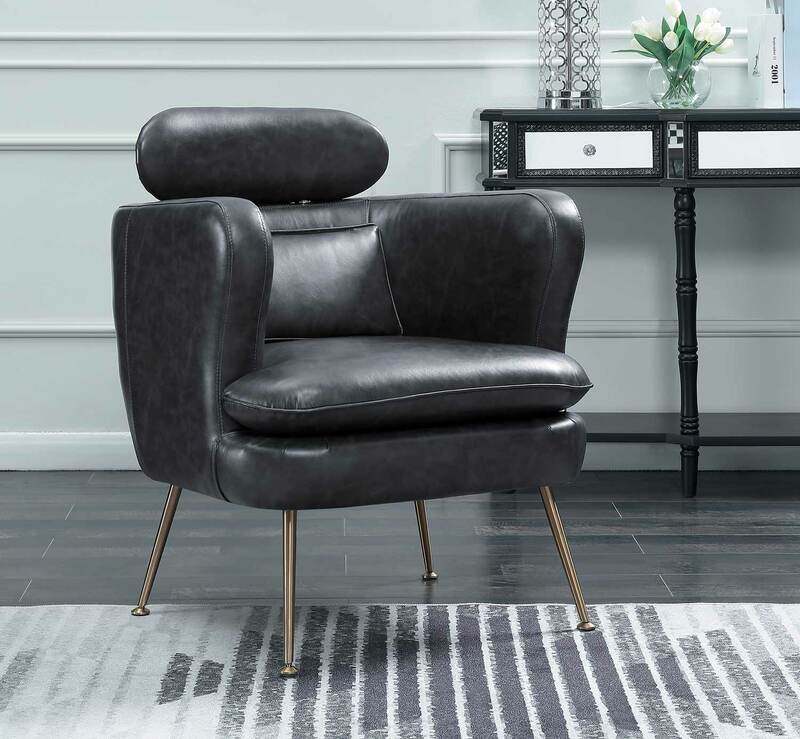 Offered in a dark gray Bicast vinyl cover, this accent chair features metal legs and a horizontal oval headrest that enhance the futuristic design. The retro lines of the Roweena Collection serve as a reminder that timeless design never goes out of style. Contrast welting lends definition to the boxy shape of this elegant seating offering. The collection is available in 4 stylish colors – beige, dark gray, orange and teal to bring a distinct look to your living room. 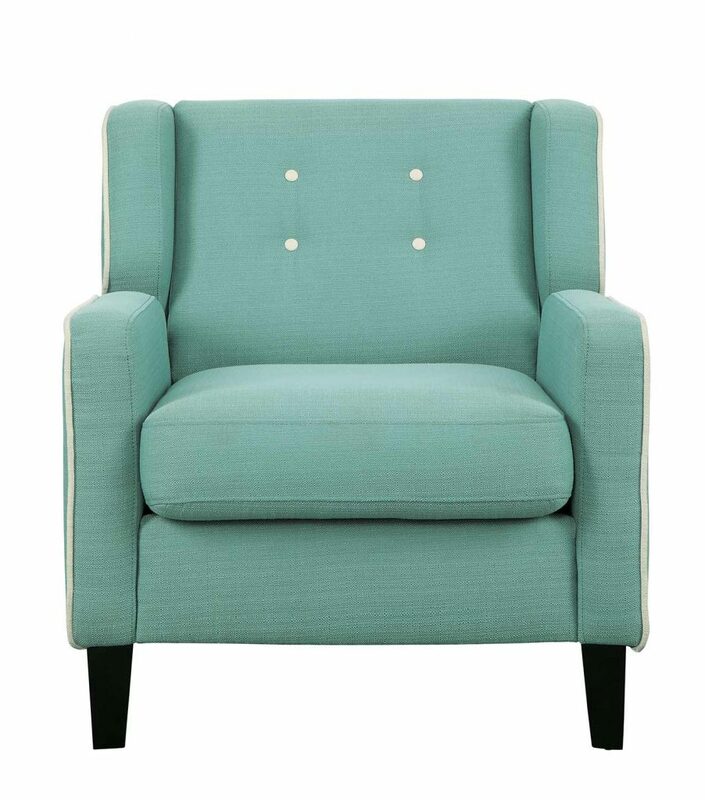 White fabric-covered buttons punctuate the chair back further lending to the classic look. 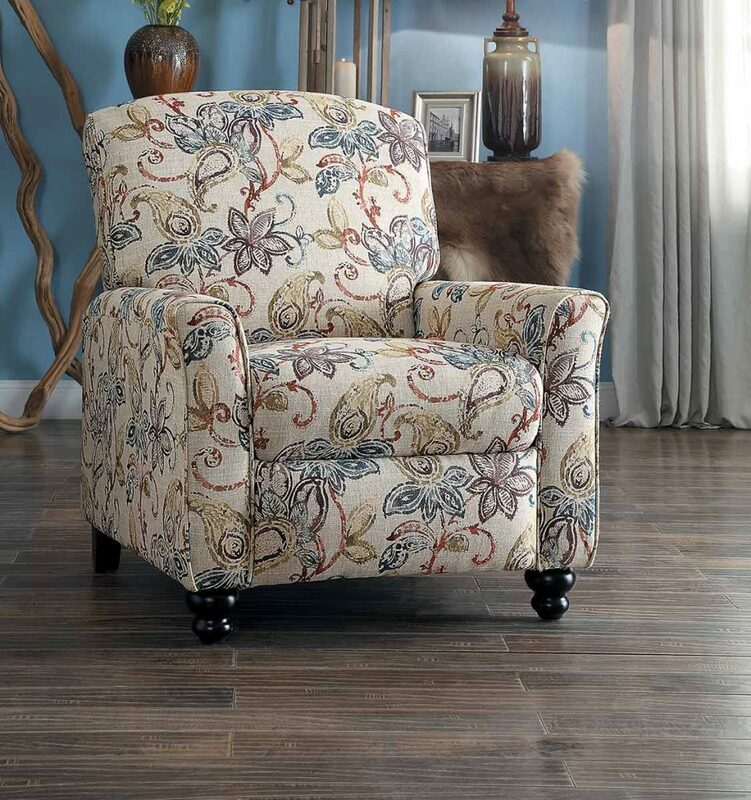 Traditionally styled, the Velsen Collection will be a functional addition to your home’s decor. The reclining mechanism takes you from an upright to prone position with a seated push into the chair’s back. The beige background serves as a neutral base to the vibrant colors of the paisley inspired print.